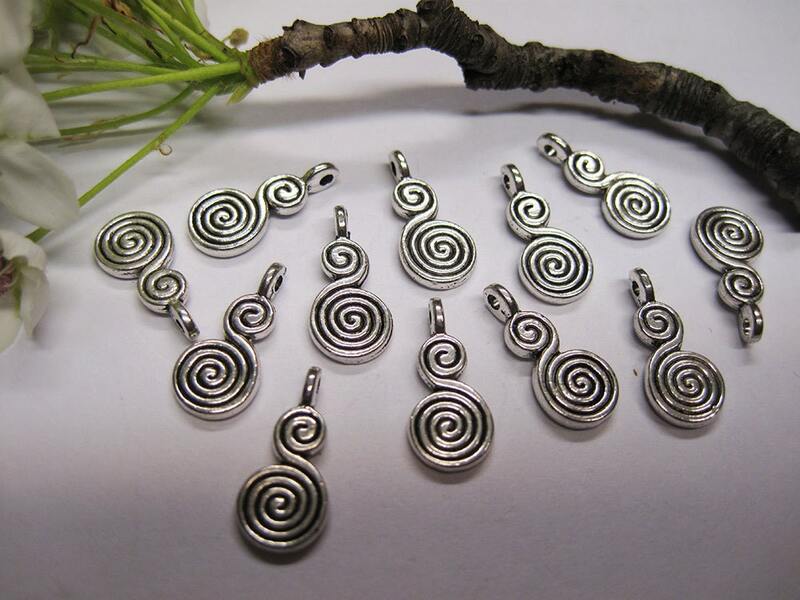 Antiqued Silver double spiral dangle charms. These elegant vintage style pendant charms are pewter, lead and cadmium safe and they measure 17x8mm. You will receive 12 charms - great for earrings, bracelet, sewing projects and more. As pictured and sent quickly. Very cute. I love them!